In high-tech industries, a few dozen companies have apparently learned how to expertly tune their warranty accrual rates and reserve fund balances, so that there's always enough money set aside to pay claims. Here are the top 20. Like a marksman facing a target, the people in charge of planning how much to set aside to pay warranty costs need to take careful aim with their estimates. And like a good marksman's target, a quick look at the results are all that's needed to determine skill. Whether the holes are in a tight cluster, or whether they're scattered all over, has a direct relationship to the marksman's aim. Of all a company's warranty metrics, the average duration of a product warranty is among the slowest to change. Yet if a company doesn't take careful aim, it may have 20 months of funds in its warranty reserve, while a year later it may have only 9 months. That's because the amount of claims a company pays each month is among the metrics that are fastest to change. However, a good marksman knows how to aim. And the warranty accrual rate is among the easiest metrics to modify and control. So it is possible to compensate for changing claims rates, and to stay on target. This week and last week, we're examining the aim of specific companies, looking for the best marksmen in the warranty business. This week, we'll look at the high tech industry sectors, while last week we looked at the automotive and building trades. In each case, we'll chart the top 20 marksmen, based on the patterns they've produced over the past decade. For each of the companies measured in the five charts below, we started out working with four warranty metrics and used them to calculate two ratios. The first metric we collected was the dollar amount of product sales for the period in question. The second and third metrics were the amount spent on warranty claims, and the amount set aside as warranty accruals, during the corresponding sales period. And the fourth metric was the balance in the warranty reserve fund at the end of each of the past 38 quarters (9-1/2 years). Then we took those four basic metrics and combined them to create the two ratios. The amount set aside as warranty accruals was divided by the dollar amount of product sales for the period in question. This created a percentage that is labeled in the charts below as the accrual rate. For instance, if a company sells $10 million worth of carpeting in a fiscal quarter and sets aside $100,000 in warranty accruals over the course of those same three months, its accrual rate would be 1.0%. Next we took the balance in the warranty reserve fund at the end of each quarter, and divided it by the amount being spent per month on warranty claims. This created a metric we're calling the warranty reserve capacity, expressed as the number of months of claims coverage in the reserve fund. For instance, if the reserve fund contained $10 million and the company was spending $1 million a month on warranty claims, the reserve capacity would be 10 months. There are five charts below, with four companies in each. Therefore, there are 152 data points per chart, though not all will be visible because of overlap. The June 2012 average for all manufacturers (1.3% accruals and 17.7 months of claims-paying capacity) are marked by the spot where the dotted lines cross. Each of the charts track two key assumptions that a company's financial planners have to make: how much money should we set aside to pay future warranty claims, and are we keeping enough in the reserve given the duration of our warranties? And since the duration of a company's warranties is likely to change much more slowly than its accrual rate, we're going to suggest that a horizontal spread is better than a vertical spread. In the following five slides, therefore, we present the 20 largest and most consistent warranty providers in the high-tech industries, such as computers, data storage, semiconductors, medical equipment, and telecom equipment. By consistent, we mean that their accrual rate and the ratio between claims and reserves has varied over a relatively short range in the 9-1/2 years between early 2003 and the middle of 2012. In the charts below, the tighter the pattern of data points, the more consistent a company's warranty metrics. In Figure 1, Hewlett-Packard Co. shows a distinct horizontal spread. This is because the company has gradually reduced its accrual rate over the past decade, but has always kept its warranty reserve balance between 9 and 12 times as much as it spends on claims each month. In other words, the company's warranty reserve capacity has remained within a range of 9-12 months, even as its accrual rate declines. Apple Inc., on the other hand, has allowed its warranty reserve capacity to vary over a much wider range as it reduced its accrual rate. The company's capacity has ranged from 8 to 16 months, though most of the data points are in the same range as HP's. Also, Apple's accrual rate has varied over a much wider range as well: 0.7% to 2.8%. Two big reasons for this are the massive change in the company's product line since 2003, and the increasing emphasis on sales of extended warranties to supplement basic warranty coverage. NetApp Inc., a data storage system manufacturer, has far fewer data points than the others because it did not begin to accrue for warranty expenses until late 2007. Still, in the past five years it has demonstrated an ability to keep both its accrual rate and its reserve capacity focused on a narrow horizontal range. Its reserve capacity has been mainly in a range of 18 to 20 months while its accrual rate has stayed close to a range of 0.9% to 1.2%. Tyco International Ltd., all the way to the left, has kept its accrual rate within a narrow range but has allowed its warranty reserve capacity to vary over a wide swath. One big reason for this may be the 2007 breakup of the company into three smaller pieces: Covidien Ltd., TE Connectivity Ltd., and the remainder Tyco International. Actually, since that time both the parent company's accrual rate and reserve capacity has risen, reflecting the more warranty-intensive nature of the safety- and security-related product lines left behind. In Figure 2, the data points are a little closer together, but one can still see the way each company aims for a particular combination of accrual rate and reserve capacity. Dover Corp. keeps its reserve capacity between one and two years while keeping its accrual rate as close as possible to 0.5%. Danaher Corp. is a little bit lower with its reserve capacity but a little higher with its target accrual rate. Agilent Technologies Inc. aims for 6 to 12 months and 1.0% to 1.5%. Polycom Inc., to the far right of the others, aims for 6 to 12 months but has a much wider accrual rate spread. What the charts don't show is the time of the data points, and whether the fluctuations are part of a downward trend. But we can tell you that in the case of Danaher, Dover and Polycom, the companies are now setting multi-year lows for accrual rates, while Agilent is in the middle of its 10-year range. However, keep in mind that cost-cutting and consistency are going to work against each other. Most times, when a company reduces its accrual rate, it's cut by too much or too little, so the warranty reserve capacity rises or falls as well. It takes a special level of skill to produce a pattern like HP's, Dover's or Danaher's, where the cost cutting is accompanied by a consistent ratio between reserves and claims. In Figures 3, 4 and 5, in fact, the amount of vertical variation appears to be much higher, suggesting that perhaps the better marksmen are in Figures 1 and 2. Some of that appearance, however, is related to the vertical scale. In Figures 1 and 2, the reserve capacity ranged from 0 to 48 months. In Figures 3 and 5 it's only half as much. Therefore, companies such as Cisco Systems Inc. and IBM Corp. may be keeping their reserve capacities in the same tight range as Apple and HP, but the scale makes them look more variable. NCR Corp., we should note, was consistent in its ability to keep a fairly low reserve capacity. On several occasions, its warranty reserve balance was equal to what it paid in claims over periods of only three or four months. In other words, if for some catastrophic reason the company stopped manufacturing its products today, its warranty reserves would be gone by March or April. But the warranty claims would continue to arise for many months more. 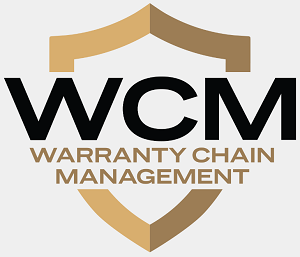 In the extended warranty industry, it is a requirement to have the financial means to pay off all valid claims, even when a retailer or administrator goes out of business. The best way to do this is to set aside enough in accruals at the time a service contract is sold to pay all valid claims until that contract expires. With product warranties, however, there is no requirement to set enough aside. And if a manufacturer goes into liquidation, it is common for them to cease to honor their warranties, because there's no money to pay claims. We're not suggesting that any of these manufacturers are going out of business. But those with very low warranty reserve capacities, unless they also have very short warranties, are leaving their customers vulnerable if for some unimaginable reason they did go out of business. And during the past several years, it's happened multiple times: the bankruptcy proceedings begin but the payment of claims ceases. This is not typically among the reasons cited by extended warranty advocates for buying a service contract -- at least not in the high tech industries. But with products such as recreational vehicles and imported passenger cars, the buyers of extended warranties have found their service contracts to be more viable than the product warranties they were supposed to merely augment. The extended warranties pay claims when the product warranties become worthless. In Figure 4, the priorities of the financial planners are different. The warranty estimators at Invacare Corp. and Roper Industries Inc. are aiming for a steady accrual rate, while letting their warranty reserve capacity rise and fall. At Bio-Rad Laboratories Inc. and Teradyne Inc., however, the warranty reserve capacity stays primarily within that 6 to 12 month range, while the accrual rate varies over a wide territory. We checked the time series for all four companies, however, and found that appearances can be deceiving. Invacare cut its accrual rate dramatically in 2010, but then raised it back to the "normal" range in 2011 and 2012. Roper raised its accrual rate dramatically in 2004 and again in 2008, but has otherwise kept it in a narrow range. Teradyne, meanwhile, had a big spike in claims in 2009, which was not matched by a change in accruals. As a result, its reserve capacity dipped below 6 months for the first and only time. Looking at just the claims and accrual rates over time, It's actually Bio-Rad Laboratories which is the most consistent of the four. And indeed, in Figure 4 it is Bio-Rad's data that is in the tightest cluster -- centered around one percent and 11 months. In Figure 5, part of the problem is that all four companies are aiming at the 6-to-18-month range with their reserve capacities, and most times their accrual rates are below the 1.3% average for all manufacturers. So the data points for the four companies tends to overlap and intermingle. Of the four, however, Atmel Corp. has the lowest average accrual rates, followed by Conmed Corp. Mettler-Toledo International Inc. and Trimble Navigation Ltd. are more intermingled, but between them Trimble has both the highest and lowest accrual rates. Again, it has more to do with the appearance crates by the scale of the chart than it does with the actual range of the data. If we were to redraw Figure 5 with a vertical scale of 0 to 48 months and a horizontal scale of 0 to 4.0%, however, all the data would be bunched up in the lower left corner, where it would be even more difficult to read. For the most part, all four of these companies are below the all-manufacturer average for both accrual rates and warranty reserve capacity, which is marked by the dotted lines that cross at 1.3% and 17 months. In fact, 14 of the 20 high tech companies had below-average accrual rates, while 18 had below-average reserve capacities (13 were below average for both ratios). So the bottom-left corner is bound to be crowded, just as the right side of the charts was in last week's newsletter. Overall, these 20 companies are the best high tech manufacturers, however, when it comes to controlling both their accrual rates and warranty reserve balances. Across the entire spectrum of high tech manufacturers, these are the best at taking aim and hitting their targets. And these charts also reveal what's important to the marksmen within each company. At HP and Cisco, for instance, the emphasis is on keeping a near-constant ratio between claims and reserves, allowing the accrual rate to vary. 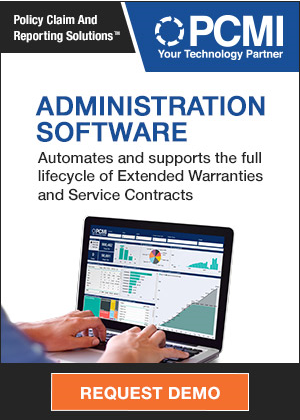 At Roper and Invacare, the warranty planners strive to keep a constant accrual rate, but they let their reserve capacity vary. At Dover, Danaher and Agilent, the planners try to keep both the ratio between reserves and claims, and between accruals and sales, within a narrow range. As a result, most of their data points would fit within a small circle, like a shooting range target with a bull's-eye in the middle. Prior Snowboard Manufactory offers 3-year warranty on skis and snowboards. Mesa lengthens amp warranties for up to 5 years for those who register. Kenworth offers extended warranties for 2013 Paccar MX-13 heavy truck engine. Jaguar dealer goes out of business, taking its uninsured service contracts with it. Sound Devices lengthens product warranties from 1 to 2 years. Liberty Coach offers bumper-to-bumper warranties on pre-owned coaches. Florida appellate court says state cannot tax goodwill warranty work. FTC seeks to update used-car guide with more warranty info. AAA warning on E15 fuel called inaccurate, irresponsible. Rheem to honor water heater warranty a renter bought from service company. Aberdeen Group launches 2013 Service Contract and Warranty Management survey. FTC proposes modifications to warranty disclosures in its Used Car Rule. ServicePower Technologies finance director Sally Gillings to leave in February. Assurant explains why Consumer Reports is wrong about extended warranties. Consumer Reports says be prepared for the extended warranty pitch while shopping. Ethanol fuel labeling becomes a political issue. Former Comet boss could profit if customers wrongly tear up extended warranties. Renewable Fuels Association says AAA trying to protect oil companies. AAA says new E15 gasoline may damage vehicles and cause consumer confusion. Ford to extend warranty, update software for MyFord Touch. Tesla to sell 4-year, 50,000-mile extended warranties for $2,500. The Warranty Group renews its agreement with American Residential Warranty. The importance of knowing your warranties for large building components. Electric car maker Think may shut down at year's end. Missouri AG reaches $399,400 settlement with NRRM LLC, aka StopRepairBills. Builders in Mumbai and Delhi offer warranties on the houses they sell. Consumer Auto Warranty Agency lists most reliable extended warranty companies. ServicePower purchases service management software license from Bella Solutions. AAA Arizona says extended warranties can be great option for car buyers. Warranty Direct study lists 10 most reliable used cars of the last 15 years. Creighton University professor compares protection plans from 12 retailers. ACCC investigates Harvey Norman's extended warranty sales tactics. Consumer Reports says extended warranties are a waste of money. Kingsway Financial Services acquires Intercontinental Warranty Services. Tablet maker Pandigital goes out of business and won't honor warranties. PartServe Channel Support becomes authorised service centre for IBM in South Africa. Longevity Global announces 5-years warranties for its welding machines. Angie's List details when to buy an extended warranty and when not to. Milliman announces joint marketing effort with We Predict. ACCC's warranty case against HP to start in Sydney Federal Court on Dec. 7. Asurion explains the importance of cell phone insurance. Best Buy renews deal with AIG Warranty Division for Geek Squad Protection Program. We Predict says its analytics could reduce recalls and save OEMs $5 billion. City of Craig introduces sewer warranty protection program for homeowners. Service Team Inc. goes public on the OTC-BB Listing Service, ticker SVTE. We Predict completes funding round, appoints Lord Hollick as chairman. Biozyme objects to Hawker Beechcraft bankruptcy court warranty cancellations. Chevy bi-fuel Silverado and GMC Sierra truck production begins. Chrysler: CNG a viable option for reducing petroleum fuels dependency. Ford: Definitely renewed interest in CNG-powered vehicles.